I love circus, but there are lots of things to do besides circus. One thing I love is karate. I have a high blue belt from the Texas Karate Institute. I used to go to competitions, and placed third at nationals. But now I spend so much time performing that I don’t have much time for karate any more. 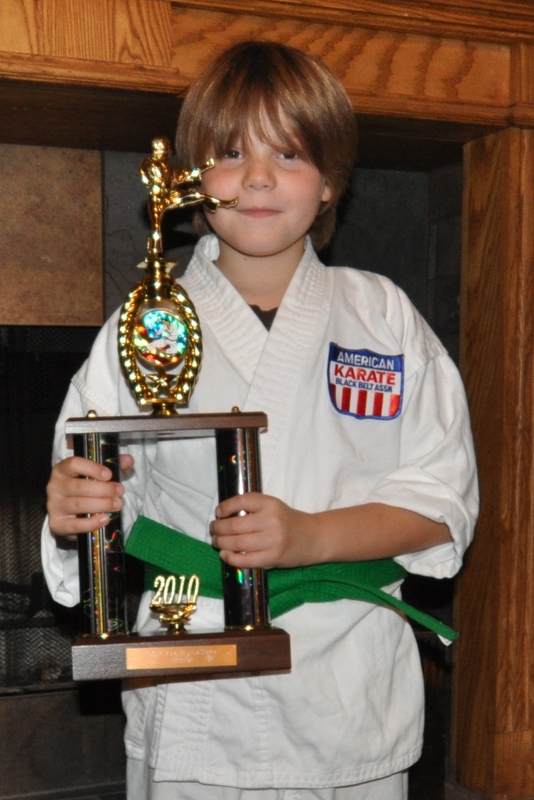 This photo is old — I only had a blue belt then, but this was my first time to win a 1st place trophy. Another thing I really like to do is read. I read a lot, and almost always have a book with me. It’s a good thing to do when you’re waiting around, and I spend a lot of time waiting around sometimes. 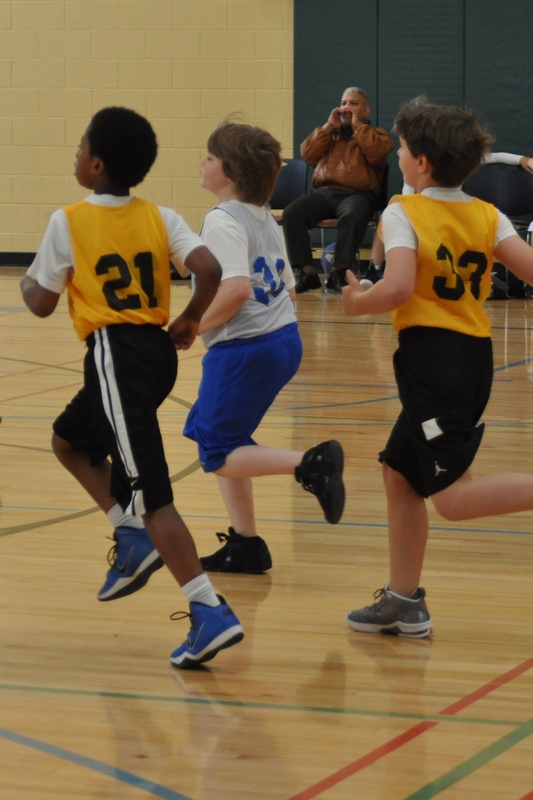 I played basketball with the Bulldogs of the SVAA last spring. Basketball is my favorite sport, but I can play soccer, too. I like science experiments, too. 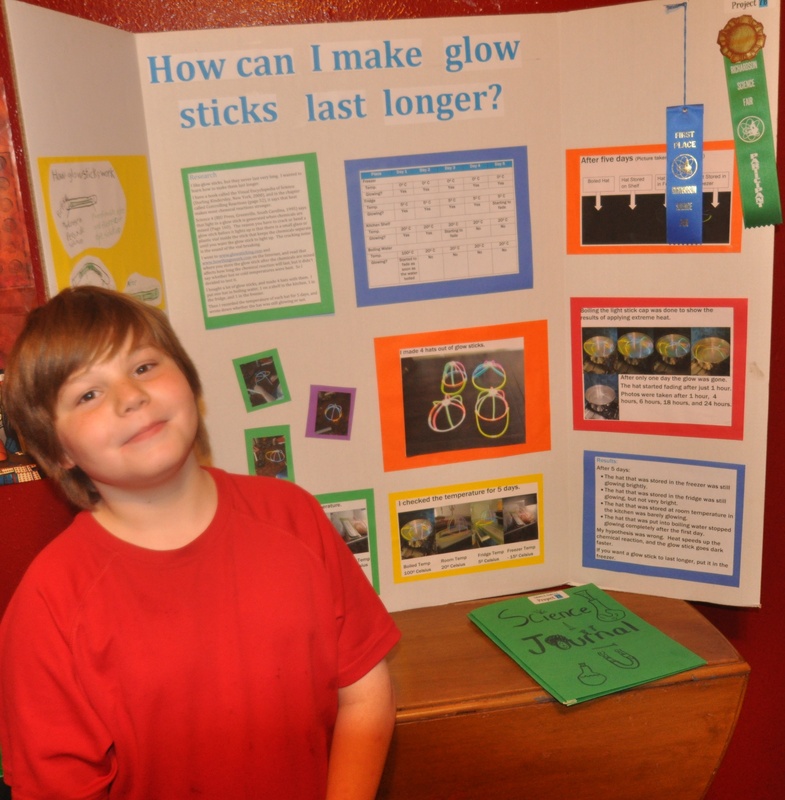 I got first place in the school science fair last year. This year I’m going to win the grand prize. Or at least I am going to try! But my favorite things to do is Legos. I love Legos! I had so many big models that we remodeled my bedroom this spring to give me more storage space for the models and my books. But it’s pretty much filled up already. I like movies, too. My wall is covered with autographed pictures from my favorite movies, and I have a big poster signed by the cast of one of the Harry Potter movies. It used to be my sister’s, but she didn’t want it anymore so I got it. 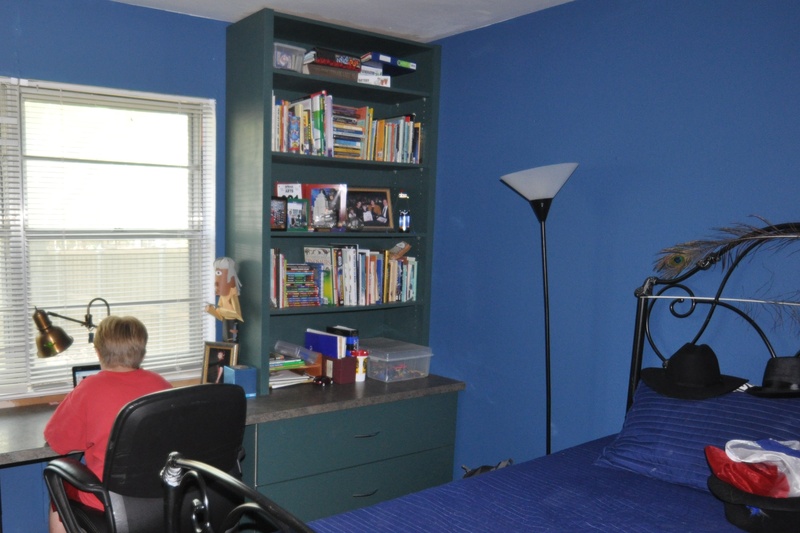 I picke d the paint color for my room myself, and the countertop and bookshelves for my built-ins. The wall is Ocean Blue, and the bookshelves are Jungle Green. The work surface is called “Brazilian Granite”, but it’s not granite. This room used to be my sister’s room — she had painted it red and black. I like it better now. I like my room. Sometimes I do my homework in my room, and sometimes I do it in the kitchen. But I always have to do it. We have a lot of homework at my school. Math and Language Arts homework comes home every day, and Social Studies and Science comes home several times every week. Sometimes we even have Art or Music homework. 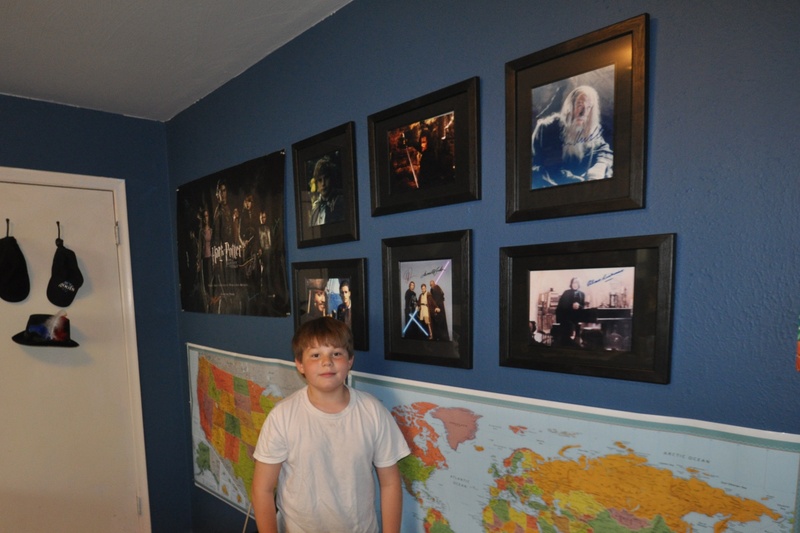 I picked out autographed pictures from Harry Potter, The Lord of the Rings, Star Wars, and Pirates of the Caribbean to decorate one wall of my room. I also put up world and U.S. maps there. I am going to mark all the places I go, and I am going to go everywhere…someday. Our house is on the corner. My school is right down the street. My friends Adrian, and Ethan, and Jet live close by. But Devin lives near my old school, so I only get to see him on the weekend. 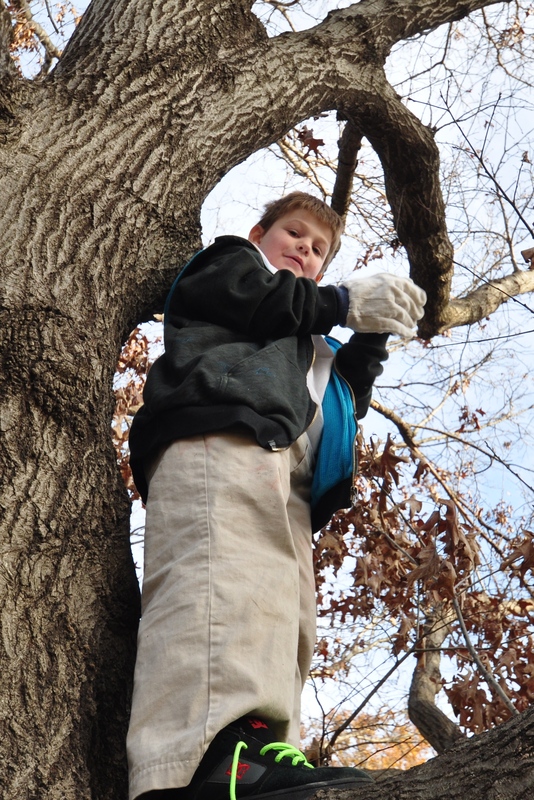 We have big oak and pecan trees in our yard. They’re great to climb!